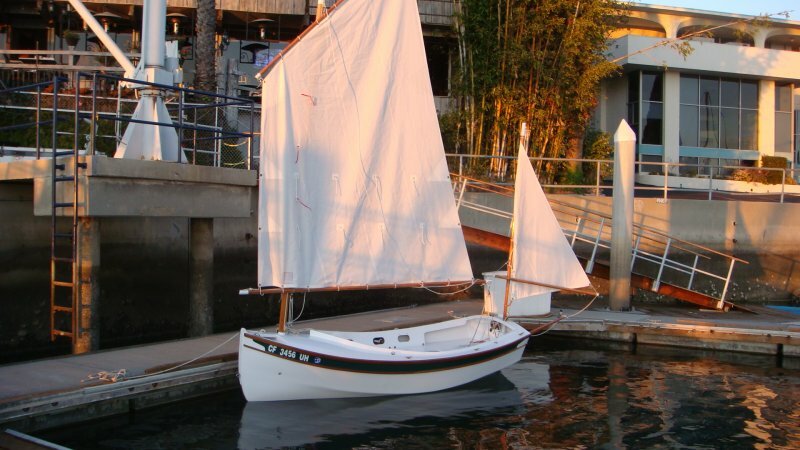 I built my John Welsford designed Houdini cat yawl in my garage. It took almost five years. The boat is constructed of okoume marine plywood, douglas fir and mahogany. The multi-chine hull was built with sawn plywood frames and douglas fir stringers. The rubrails are mahogany, the tiller is laminated mahogany and douglas fir and the centerboard and rudder are laminated douglas fir. The hull, and rudder are glassed. The masts and spars are douglas fir. The main mast is a hollow, bird's mouth construction. 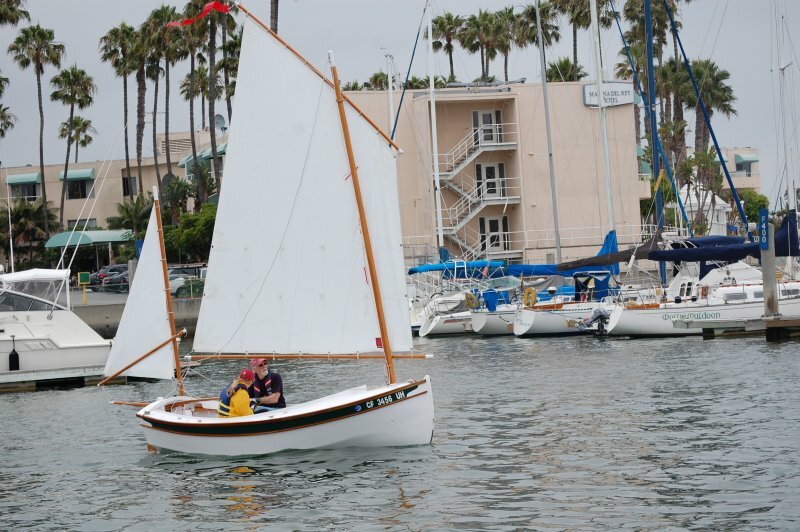 The main sail is a 103 square foot balanced lug sail and the mizzen is 15 square foot sprit sail. The sails are from Duckworks. 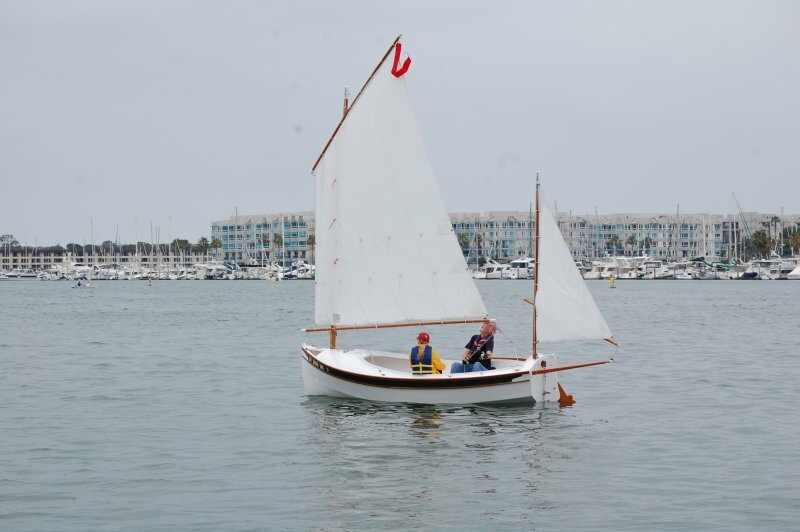 The boat was intended to be day sailed, mostly single handed, in the Santa Monica Bay. It has 60 kilos of inside ballast along the centerboard case which the designer recommends for boats that won't be loaded down with camp cruising gear and stores. The ballast is made up of 6, 10 kilo blocks made of lead shot and epoxy. I made some minor changes to the interior to provide more seating, ala the Welsford Navigator design, and cave lockers for gear and provisions. I also added a rear deck to help support the mizzen mast and to mount the downhaul and the cleat for the mizzen sheet. It has taken some time to begin to learn to sail the rig, as the designer said it would, but after some nine months, I am beginning to get the hang of it. The boat sails very well in light air, is better close hauled than I expected and is terrific on a reach.